Walking just past the tide pools, I followed the path leading along to the resort next door, Napili Point. 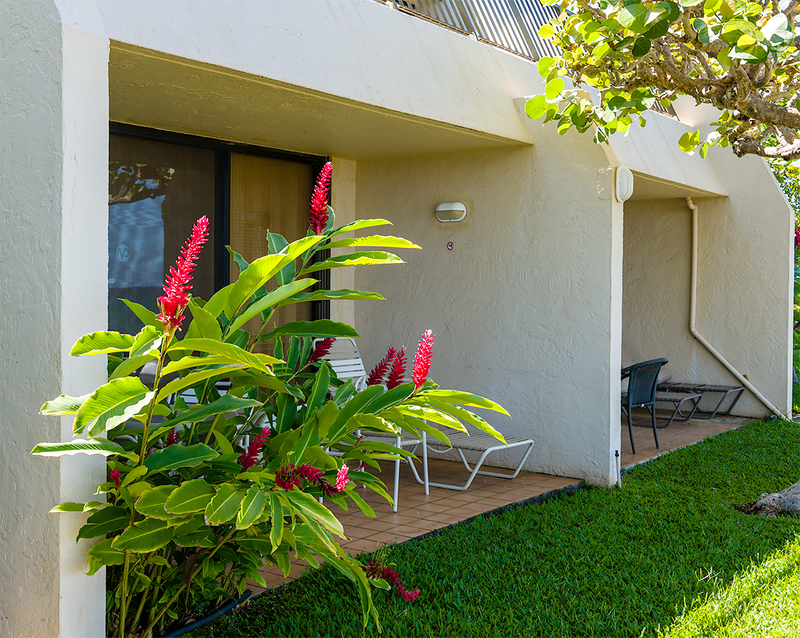 I stayed here two times on my early trips to Maui and I love these units, especially the full two-bedroom units with a separate downstairs bedroom plus an upstairs loft bedroom. When the sun begins its daily trip, the view is beautiful and, if a rain shower brings a rainbow, the rating peaks at "SPECTACULAR". 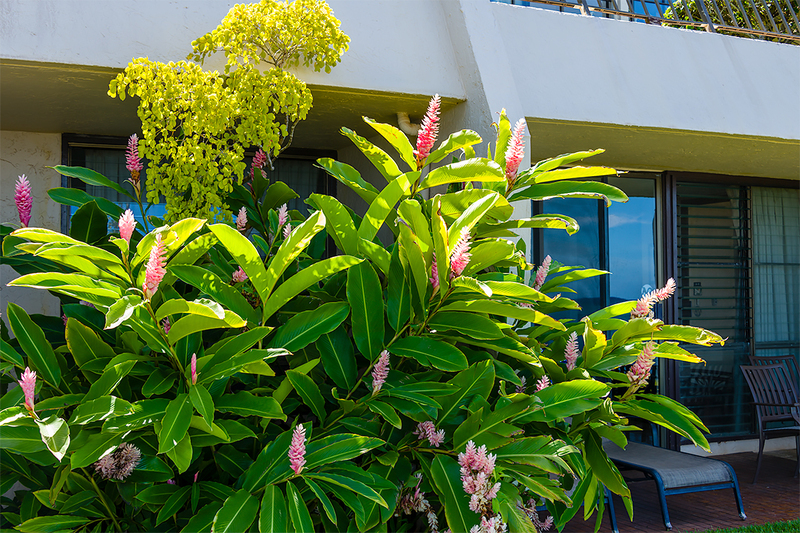 The landscaping outside most units is delightful such as this red flame ginger plant with a showy set of blossoms. 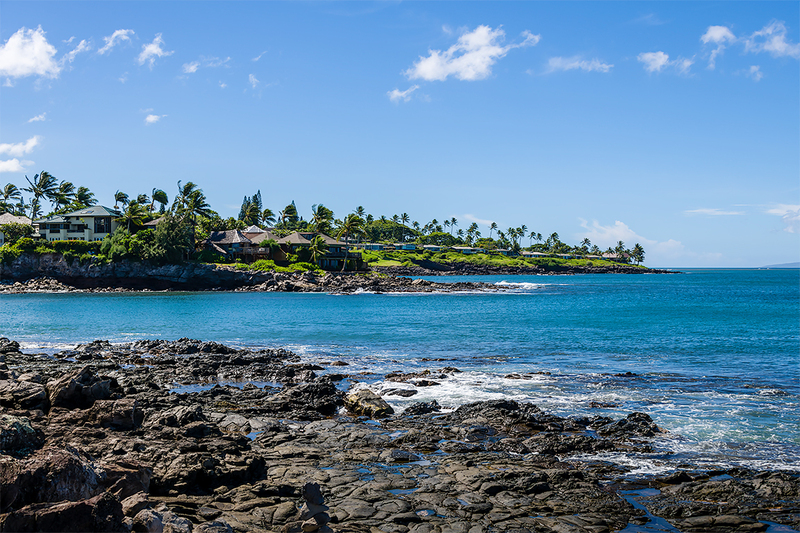 Just think of the pleasure of sitting here, staring at the ocean while you sip your morning Kona coffee. A few units further, one finds a wonderful pink ginger plant with a ton of blossoms. Same plant, just different colored flowers. Napili Point sits on one side of Honokeana Bay. Looking across the bay, one sees some incredible homes. Out of curiosity, I looked at Zillow.com and found that the home with the multiple pyramid roofs is for sale. Bring your checkbook and plop down a check for $7.5M and this tropical retreat is yours. Please remember who gave you this tip — maybe we could arrange for me to visit to help you acclimate to Maui. By the way, this protected bay is known as a habitat for green sea turtles. Even standing on the tide pool rocks, you can spot the heads of several turtles as they come up for a breath before resuming their feeding on the bottom. And, of course, you will also see snorkelers getting a close-up look at the population of turtles. Remember, look but don't disturb — keep at least 10 feet away. 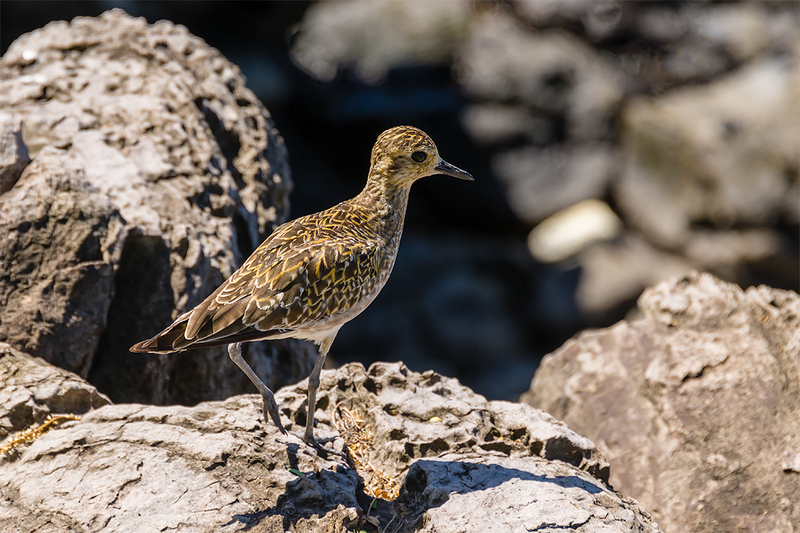 This brave Pacific Golden-Plover stood perfectly still so I could get a nice sharp photo. This species, known to the native Hawaiians as Kolea, wades on tidal flats, beaches as well as on tundra and fields, looking for insects, crustaceans and some types of berries. Some winter here in Hawai‘i, others go on to South Asia and Australasia. 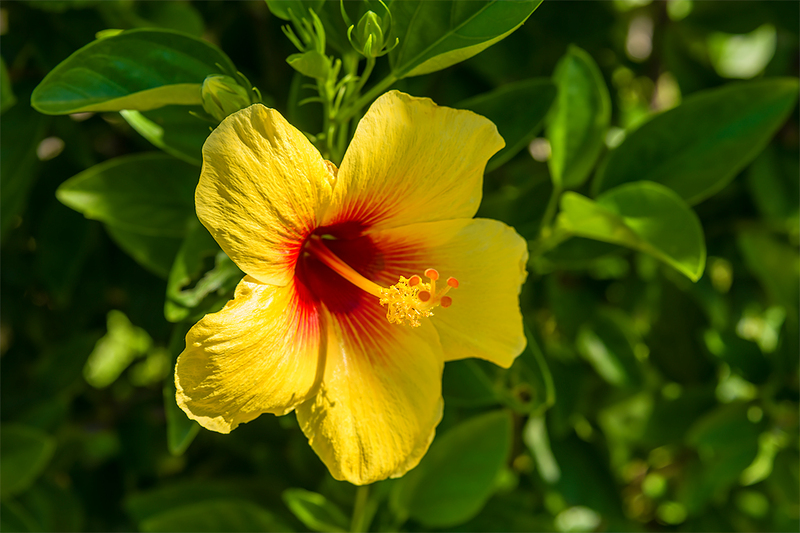 People often think of Hawai‘i when they see a hibiscus flower. They are big, they are showy, they are colorful. What's not to like? It's even part of the logo for Hawaiian Airlines. And many women will wear one in their hair. Remember, if the flower is behind the right ear, she is available. If behind the left ear, she is taken. 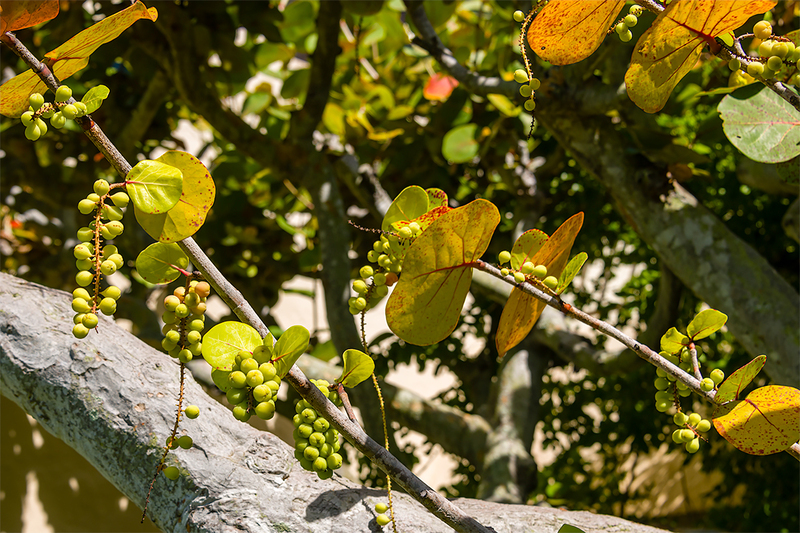 Ah, this is unusual, a sea grape bush. Despite its name, it is not a true grape. 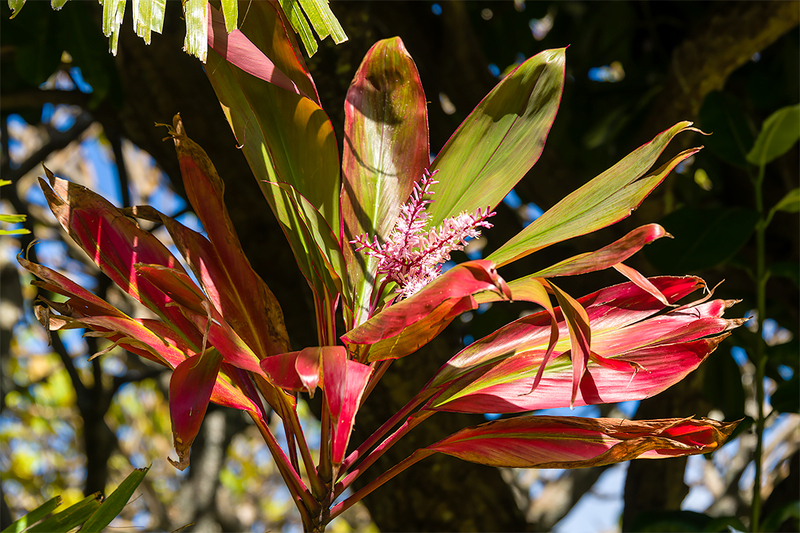 Also, it is not native to Hawai‘i but comes from tropical America and the Caribbean. When I was in high school, living in south Florida, we encountered many of these bushes, usually on the beach. My mom had us collect the "grapes" to make sea grape jelly — it was good stuff on toast. Looking out to the open ocean, Moloka‘i sits majestically on the horizon. 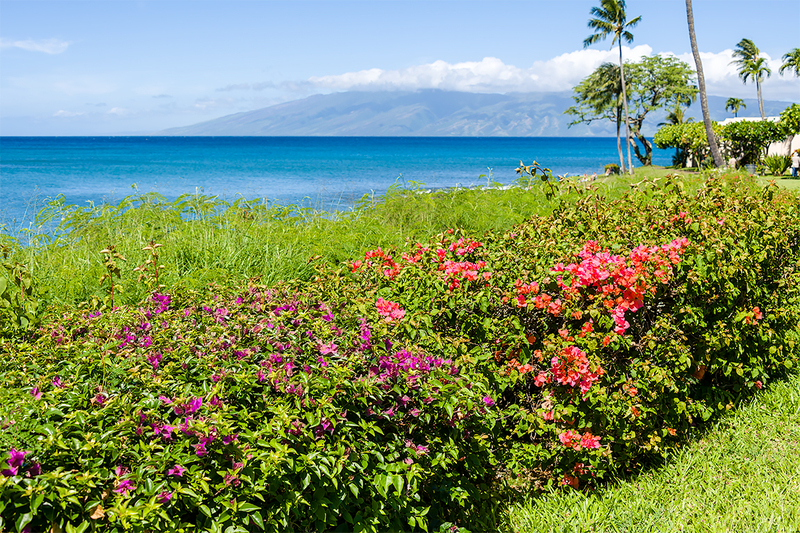 Nearly everyone in Arizona and California (as well as Hawai‘i) will recognize the hedge in the foreground as Bougainvillea. It part of the landscaping everywhere in those states. 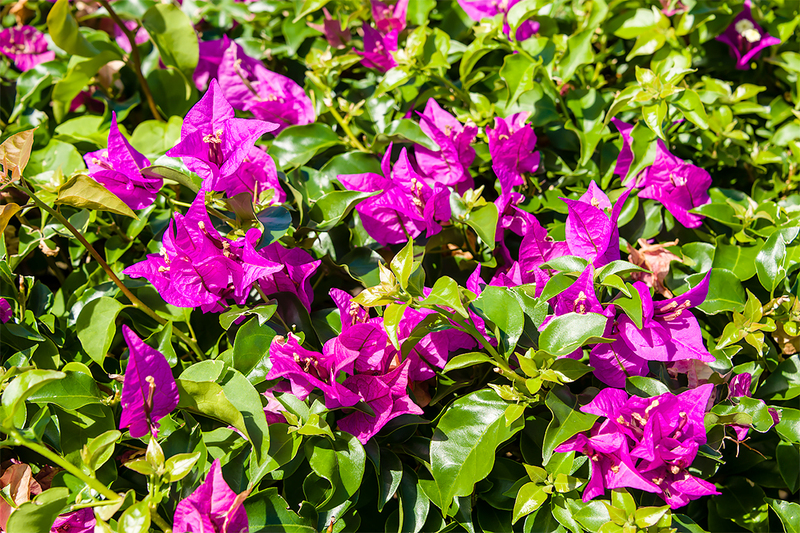 Most folks tend to think of Bougainvillea's showy flowers which are not, in fact, flowers. They are actually large colorful sepal-like bracts which surround three simple waxy flowers. Yep, the flowers are tiny and surrounded by colorful leaves. And do watch out for the thorns — they can be nasty. Everyone knows bananas, right. Have you ever had some growing right outside your bedroom window? And these look like they may be Apple Bananas — my favorite. They're too fragile to ship to the mainland so you have to go to Hawai‘i to try them. Some of the grocery stores carry them but, for sure, you can find them at the Farmer's Market. Ask at your hotel or condo where you can find the nearest Farmer's Market, then go buy some. 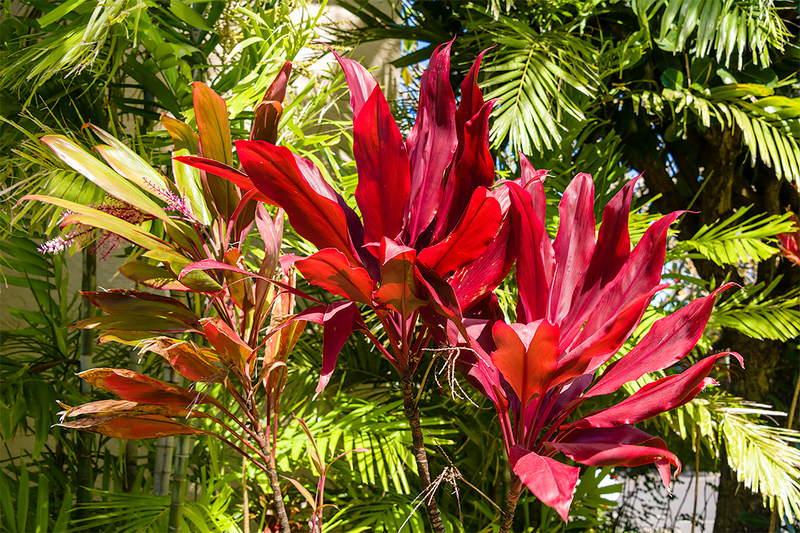 Ti Plants are favorite landscaping foliage that must be included in every Hawaiian garden. This photo shows a mixture of red and variegated varieties. Besides landscaping uses, Ti is one of the most important plants among the indigenous religions of Austronesia. 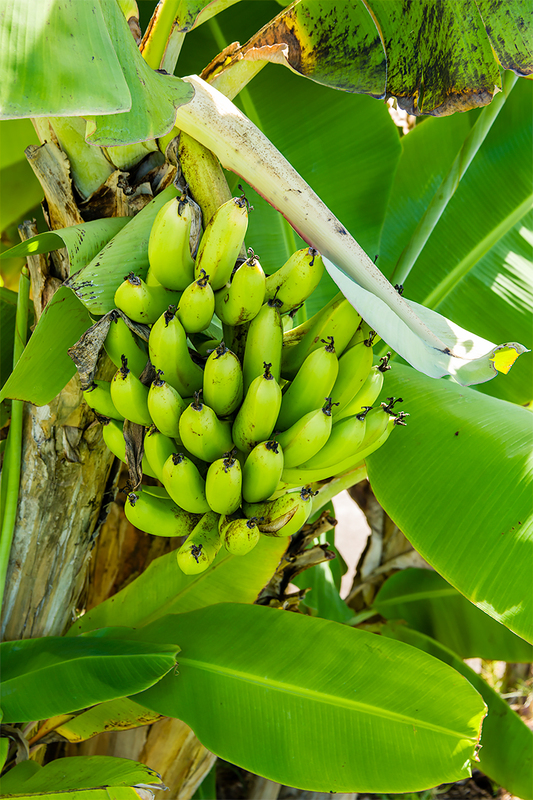 In modern Hawai‘i, the green leaves serve an important use as the material for skirts for hula dancers — oh, and also for lining an imu (underground oven) and covering its contents. This photo shows a closer view of the flowers of a Ti plant. They are quite cute with the background of the dramatic leaves of the plant itself.